Jay Trump won the National in 1965, and in doing so became the first American bred, owned and ridden horse to do so and it was also jockey Tommy Crompton Smith’s Aintree debut! 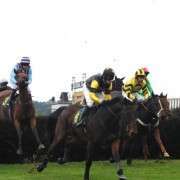 It was to be his first and last appearance at Aintree, and in winning he beat favourite Freddie by three quarters of a length. 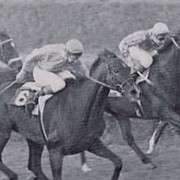 Jay Trump was bred in Pennsylvania by Tonga Prince out of Be Trump, and his first attempt at racing was on the Flat which he was deemed to be unsuccessful at. He then went on to have an accident as a two year old which left him with a fifteen inch gash that required twenty-nine stitches in his off-foreleg. A number of unsuccessful ownerships had occurred before Crompton Smith bought him for $2000 on behalf of Mary Stephenson of Ohio, who had once been a polo player and leading huntswoman. She had wanted a horse to win the Maryland Hunt Cup and Tommy obliged twice (1963 and 1964) by buying, training and riding Jay Trump. He also won nine other races. Billy Barton was a horse that was successful both at Maryland and Aintree (he was runner up in 1928), and it is easy to see why any horse who is favourable at one would be favourable in the other – Maryland is a four mile race with daunting upright timber fences. 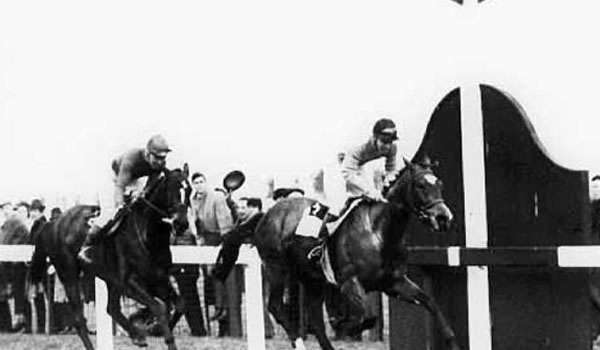 Crompton Smith recognised this and sent Jay Trump to England eight months before the 1965 National in order to qualify for handicapping purposes. 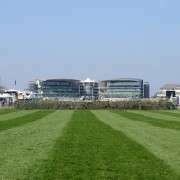 The man Crompton chose to train Jay Trump for the upcoming event was inspired – Fred Winter, whilst having no experience as a trainer as of yet, had ridden in the National eleven times, had won it twice and was four times champion jockey. It wasn’t just Jay Trump that Winter trained, it was Crompton Smith too – the American came over four months before race day to begin his instruction. Jay Trump won a three mile chase under Crompton Smith at Sandown and won two more of his four preparatory races at Windsor and Newbury, as well as being runner up in the King George VI Chase. 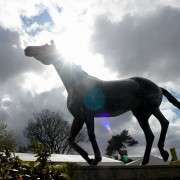 Then a crisis broke out – three weeks ahead of the National Lambourn was hit by a coughing epidemic. Jay Trump was promptly moved to a stable half a mile away with Tommy living with him. It is reasoned that Jay Trump probably avoided infection due to his vaccinations that he would have received prior to leaving the United States. 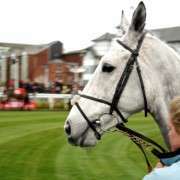 In any case he arrived at Aintree in grand form and left in even better after winning the race. He went on to run in the French equivalent of the National; the Grand Steeplechase de Paris which Winter had won in 1962 on Mandarin; just three months later and finished a close-up third, beaten by two and a half lengths by Hyeres III. He went home to win the Maryland Hunt Cup for the third time and was then retired as a nine year old, going on to live out his retirement to a ripe old age.